Three major transportation corridors serve Lewisville: President George Bush Turnpkie, State Highway 121 and Interstate 35E. The l-35E transportation corridor is one of the fastest growing in North America with a distinct 8-miles running through the City of Lewisville. Lewisville easily accommodates the movement of goods and services due to its location. If logistics are integral to your business, we are the perfect location. 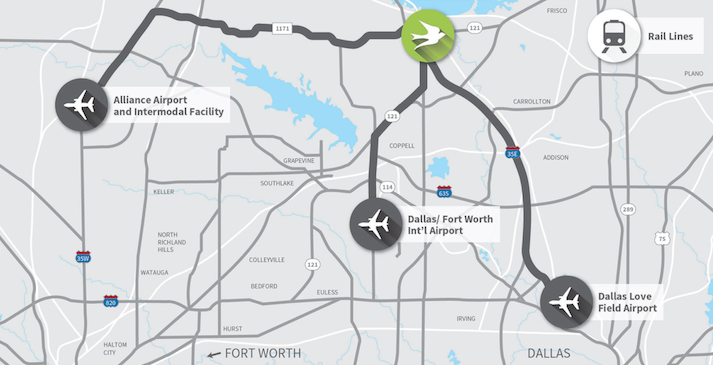 Lewisville has several major highways located in the city and is 5 miles from the DFW International Airport. As a part of the Denton County Transportation Authority, Lewisville has a commuter bus system and three commuter rail stations connecting Lewisville to downtown Dallas and Denton. One of the major traffic corridors in Lewisville, Interstate 35E, has been targeted for expansion by the Texas Department of Transportation (TxDOT). Because Interstate 35E is a commercial corridor, we aim to serve our community members with quality communication channels and support during the progression of the project. TxDOT serves as the primary source of information on the expansion - more infomation on the project can be found on the 35-Express Project and TxDOT websites. 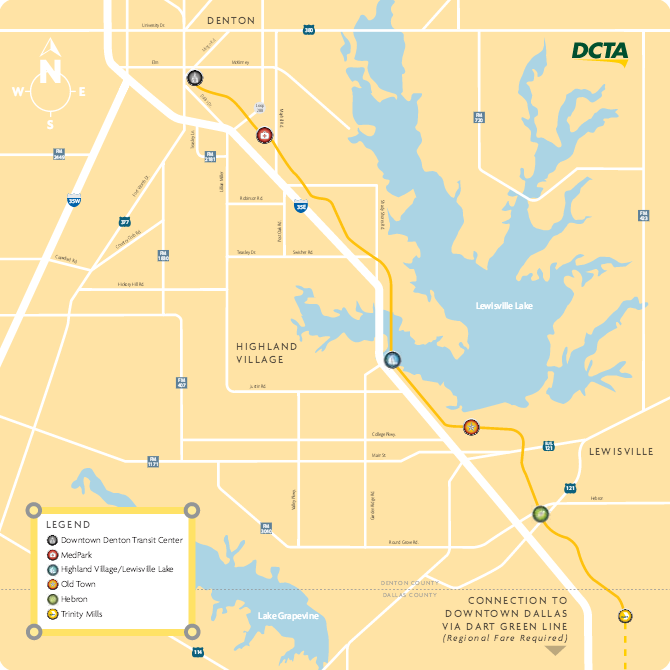 3 Regional Rail Stops Connecting Lewisville to Denton and Downtown Dallas.